3 Neighboring Communities host 300+ People! What if we shared more meals? Not to mention all of the hours planning, shopping, preparing, and cleaning up for meals! What if we shared more tasks? And how about the tools, equipment, storage, and know-how to keep things up? What if we shared more time? In fun and celebration, collaboration and decision-making, we could do more by working together. 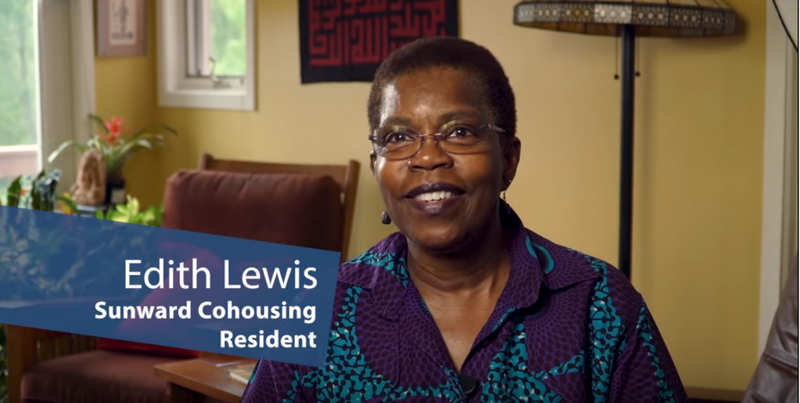 You can witness the power of sharing, cooperation, and community at these three amazing cohousing neighborhoods in Ann Arbor, Michigan. In this episode of Planet Community we travel to Sunward, Great Oak, and Touchstone, to see how these neighboring cohousing communities have grown over 20 years to now provide meaningful places to live for over 300 people. Cohousing communities are collaborative neighborhoods created through intention and ingenuity. They bring together the value of private homes with the benefits of more sustainable and community living. Residents actively participate in the design and operation of their neighborhoods, and share common facilities and good connections with neighbors. In this way Cohousing Communities act as innovative responses to today’s environmental and social challenges. You can explore more Cohousing Communities in the Directory, and on our partner’s site: Cohousing.org. To see more episodes, to learn more, and to support the project, check out: Planet Community!